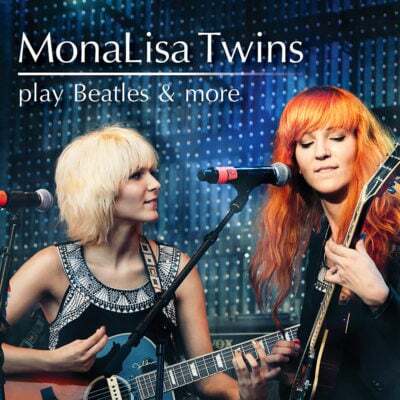 In 2014, I stumbled upon the MonaLisa Twins’ exquisite cover versions of “God Only Knows” and “Bus Stop” on YouTube. 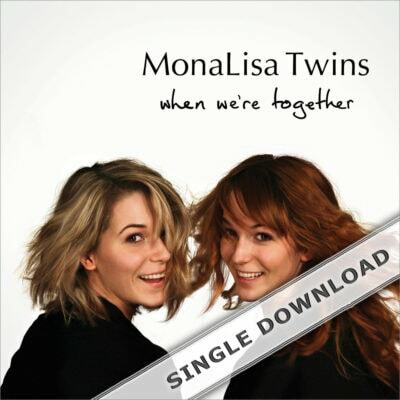 Then I discovered their own material (the album “When We’re Together”) as well as the other brilliant covers they’ve done. I’ve been following their progress ever since, and also had the pleasure to witness some of their great live performances at various music venues in Liverpool. 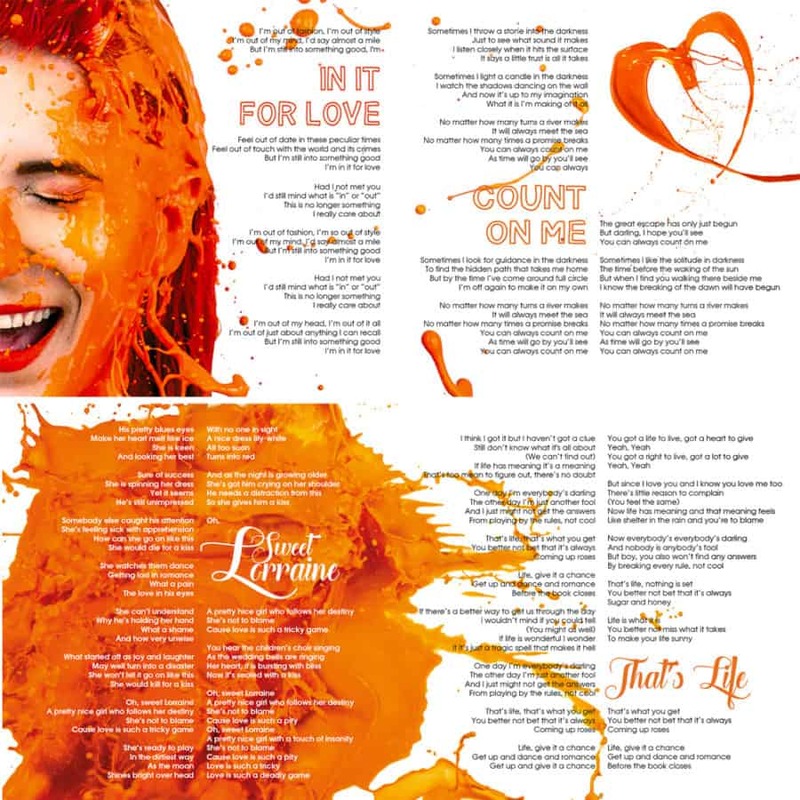 It’s been two years since the release of their latest original song “That’s Life”, but by releasing an album as strong as “ORANGE”, they prove that it has definitely been worth the wait! 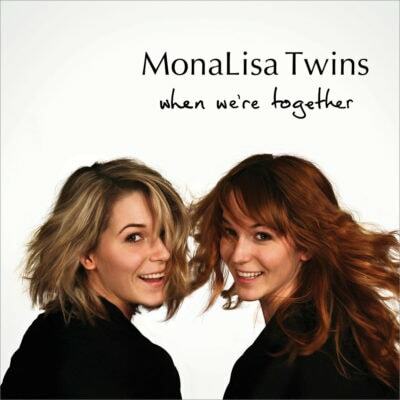 The MonaLisa Twins’ love of sixties music is obvious, but there are several different styles present on this album. The song “No More Worries Company” reminds me of a musical style from decades earlier. 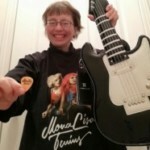 Listen to the uptempo “Club 27” for some magnificent rock guitar playing. 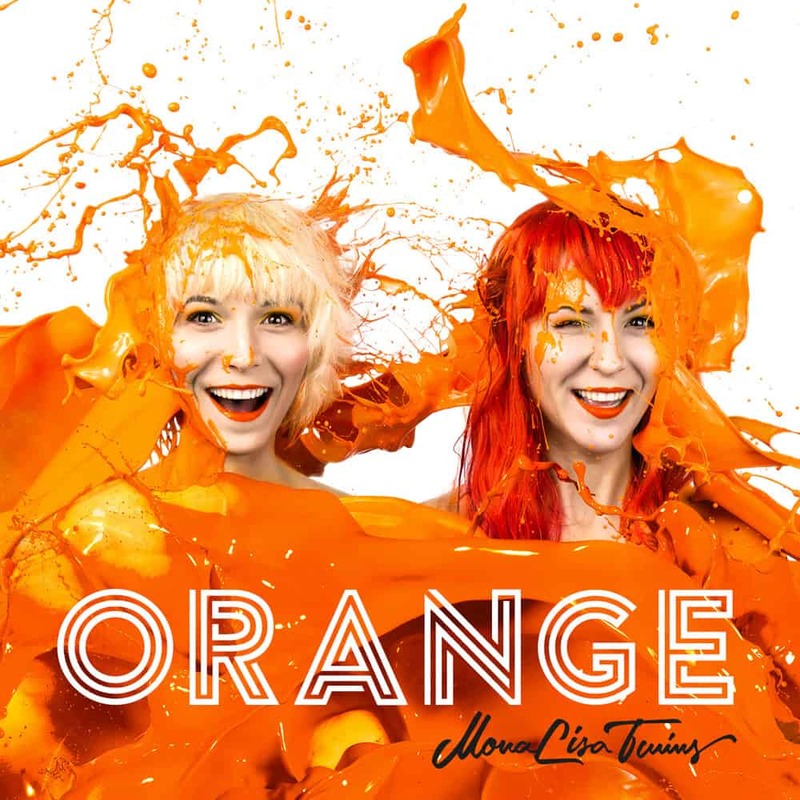 Beautiful harmonies are everywhere on “ORANGE”, and the arrangements and production throughout is excellent. John Sebastian contributes wonderful blues harp playing on two of the songs. What impresses me the most about “ORANGE”, is that it’s a team (family) of just four people who have done basically everything here, from song writing and arrangements to performance and production. I can’t wait to get an opportunity to hear this material performed live! Read [skip] down for track reviews. We all know that music reviews are subjective no matter how much the writer claims objectivity. Reviews are influenced heavily by how much the reviewer likes or dislikes the reviewed and other personal preferences of said reviewer. With this in mind I, as a ‘fan’ of the Mona Lisa Twins [MLT] for a couple of years or so now, will try to keep my reviews … sensible! 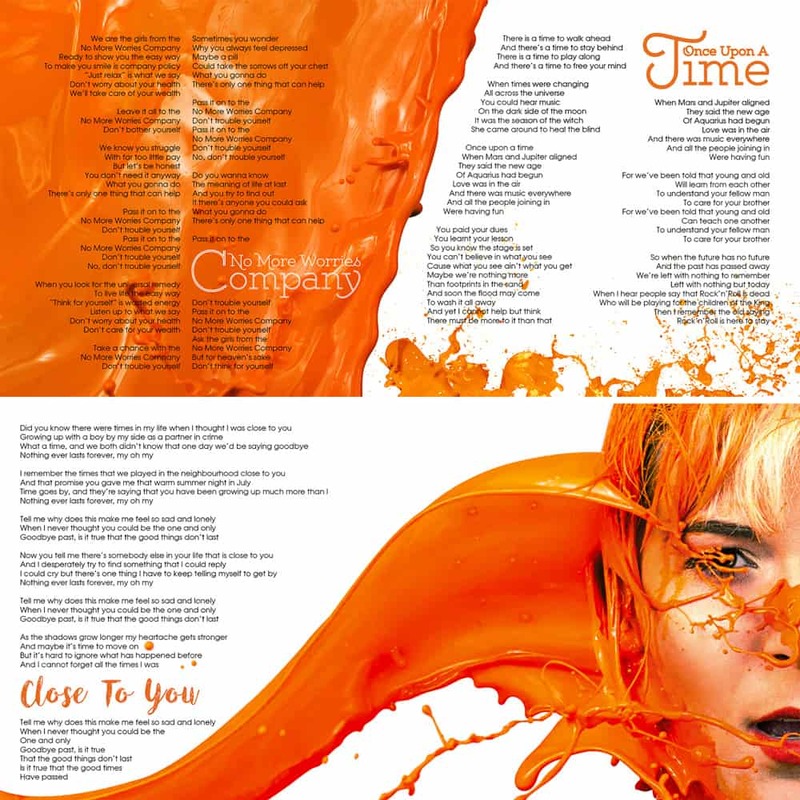 I can write wholeheartedly that any words of praise for ‘ORANGE’ that I write will be woefully inadequate in expressing just how amazing I feel the album is. 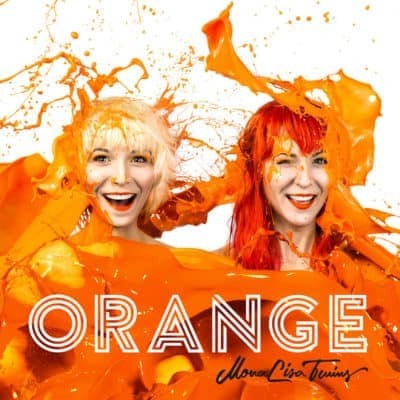 When I found out about ‘ORANGE’ there was little information about the album other than it was by MLT and the suggestion that the album would be a new direction for the group. Alarm bells started ringing! How many times have we read ‘… a new direction for the group …’ for any group and found that the new direction was not to our taste or somehow degraded the group or, I can think of a few, over commercialised the group by going with whatever the recent music fashion was? My fears proved unfounded when I first listened to ‘ORANGE’. As a whole, the new MLT album is very true to previous MLT material. MLT are adored for the materials from a bygone age that they ‘cover’ such as hits by The Beatles, The Hollies and others from the same era. This adoration is also given to MLT for previously released original works that are written by the artists. This new album ‘ORANGE’ of original work does not disappoint and will, without doubt, be adored by fans of MLT. It will be no wonder to this reviewer that anyone new to MLT will not be disappointed by the album either. The album ‘ORANGE’ is in a format that I quite like! 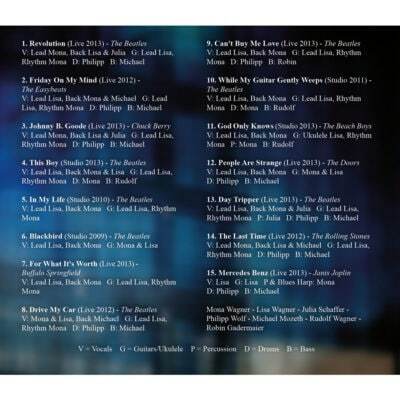 Though each track can be enjoyed independently, from the start the album kind of tells a story. On the whole the story told is about life. It would be easy to compare ‘ORANGE’ to albums that became classics of other groups and master classes in composition. 1. The Future: This clutter of sound will seem somewhat strange or confusing on first play but lays down the foundations for what follows very well and, maybe strangely, makes more sense as the album continues or is replayed. 2. No More Worries Company: This puts me in mind of a cheeky, witty show tune from a stage musical. The lyrics are fun and the tune is very upbeat and raises a chuckle. Like a friendly, warm welcome to the hearth on which the rest of the album gently simmers this track embodies the cheery, fun and staying groovy attitude MLT are known for. 3. Once Upon A Time: Arguably an instant classic, this track puts me in mind of a certain style of mid to late sixties ‘eastern’ influenced music mixed with a deep ‘bluesy’ style. With many a, seems to me, tip of the hat to the artists that have influenced MLT and somewhat meaningful lyrics, this is a wonderful track. 4. Close To You: This track is a superb exploration of wonder and misfortune romance can bring. This is a quintessentially 60’s love song and, to me, would not be out of place if on an album performed by artists such as Chad and Jeremy or Peter and Gordon. 5. 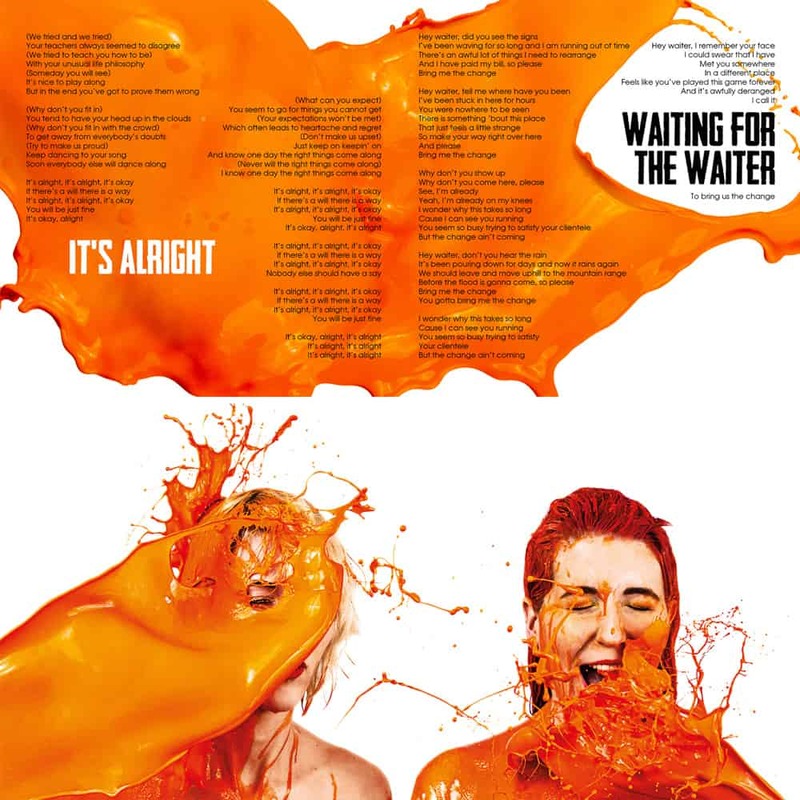 It’s Alright: Fast, fun, a little pop like and a clear display of how well the twins voices play off each other. I see this track as a great expression of personal liberty done with the joyous charm MLT often show. 7. 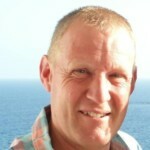 In It For Love: I ‘ain’t misbehaving’ when I write this review! This song is entirely modern in a very nostalgic way. The tune is lightly melodic fun and the lyrics are cheekily optimistic. Once again the vocals here are perfectly matched. I could easily put this song to the top of my favourites of songs that are similar. 8. Count On Me: How heartfelt and beautiful can a song be? Get the tissues ready! With a prominent yet (deceptively) simple guitar leading the dreamy instrumental part and a wonderful vocal rendition by both twins this track is purely magical. 9. Sweet Lorraine: Is this a Beatles song? (I know it’s not). This song is saccharin sweet – but in a good way. A story song that is humorous, sarcastic and mischievous all at the same time this track pleases very much. 10. That’s Life: The very first line in the lyrics of this song got me hooked! The lyrics are full of self deprecating humour of the best kind, down beat optimism and joyously forth rite advice. This song brings an ironic laugh and a smile hard to drop. The guitar work and percussion on the track has a fun clarity. Is that a cowbell I hear? Needs more – chuckle! The song is so infectious it should come with a health warning. 11. 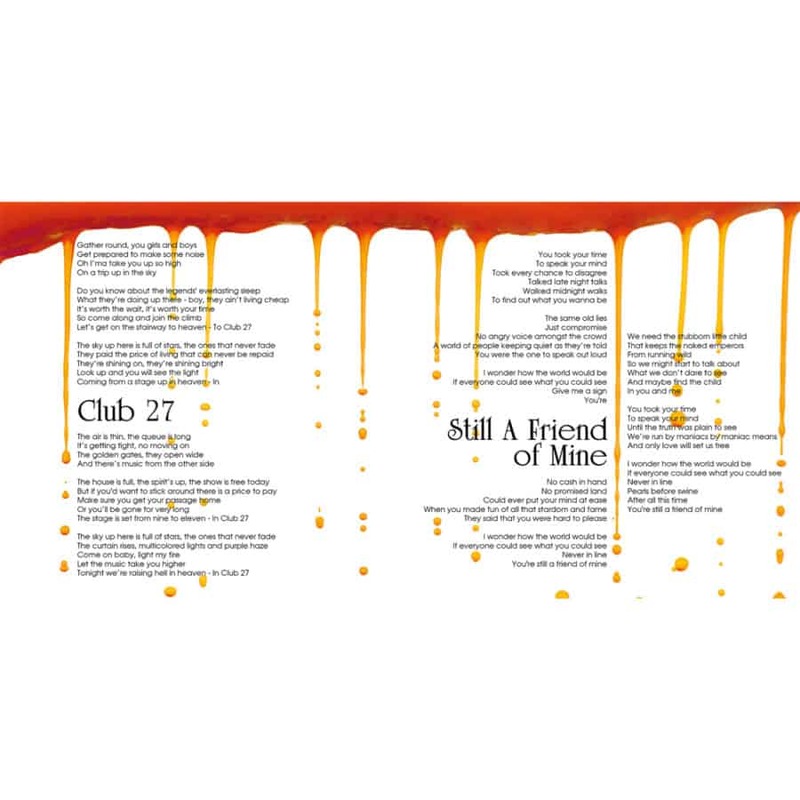 Club 27: Though I am familiar with the idea, it took me a minute to realise what the title ‘Club 27’ was referring too – and here’s me a Fortean! Energetic and fast music with Hendrix like guitar work and sang in a let loose and lovin’ it fashion with a tip of the hat to hotel California lyrically this track is vibrant to say the least. 12. Still A Friend Of Mine: Another tear jerking beauty. 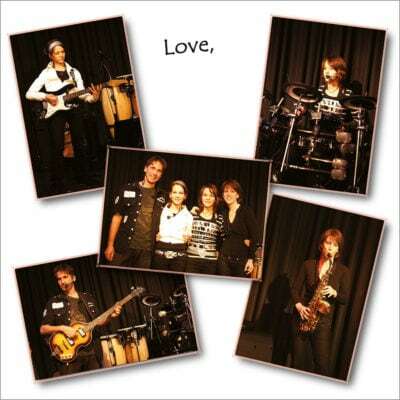 This track is a personal love song with echoes of universality beyond the simple. Or is it? Listening to the track, one could be easily forgiven for thinking it is as I just described. Reading the lyrics brings to mind other words such as ‘roguish’, ‘rebellious’ and ‘inciting’ though. Either way, this track has an exquisiteness that is easy to accept yet, somehow, hard to explain. Thank you for the music (and I tried so hard not to mention ABBA). Mona and Lisa (and co) you never cease to please. This album ‘ORANGE’ is great for your fan base and, I have no doubt, will bring on board many who were previously unaware of your work and make fans of the curious. 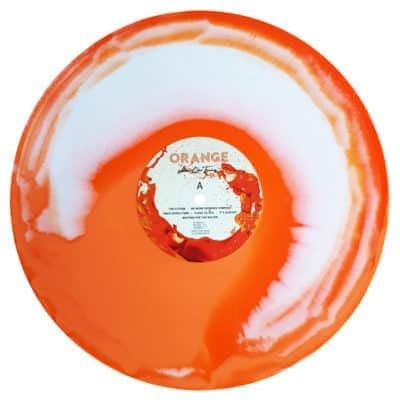 I own the CD of ‘ORANGE’ and eagerly await my vinyl copy! In summary.. The whole album is complimentary in all of the song selections… songwriting…John Sebastian’s guest appearance and so forth. One can tell alot of Love …Hard Work…Creative Cultivation went into this and the result is a Harvest that is Musically Reaping Abundance !!!! I just got my copy yesterday and listened to it this morning and OMG, your comment on Club 27 finally clicked as to what this song is about. Now it makes a whole lot of sense. I received this a couple of days before it’s release and having listened to it can only say – brilliant. 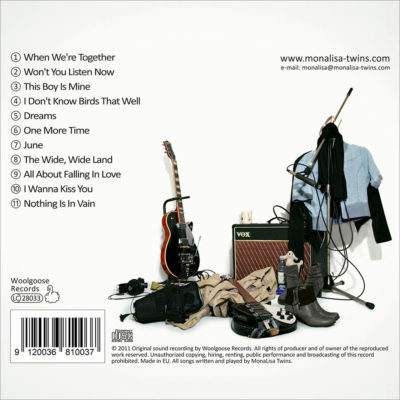 I love the whole feel of it and your harmonies and songwriting are excellent, as always. Let’s hope that this album brings you the success that you deserve. The best album of 2017, in my opinion. They didn’t try to redo their first album, they explored new sounds and produced an LP that took everyone by surprise. My favorite cuts are Count on Me, Close to You, No More Worries Company, and of course Club 27. Very refreshing. Music with a melody. Rare these days. Love it.